Jack is on Rezilir Health™’s Board of Advisers. He is a recognized physician leader with expertise on health strategy and leadership who has built broad and deep relationships throughout health care. He recently retired as Executive Director (CEO) of The Permanente Federation, headquartered in Oakland, CA. The Permanente Federation represents the national interests of the regional Permanente Medical Groups, which employ more than 17,000 physicians who care for 9.3 million Kaiser Permanente members. Kaiser Permanente is composed of the Permanente Medical Groups, Kaiser Foundation Health Plan, Inc., and Kaiser Foundation Hospitals. 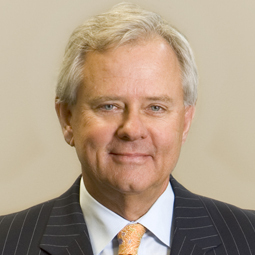 Prior to his appointment to The Permanente Federation in October 2007, Dr. Cochran served as Executive Medical Director, President, and Chairman of the Board of the Colorado Permanente Medical Group (CPMG) for Kaiser Permanente. He began his career with CPMG in 1990 as the Chief of Plastic Surgery and founder of the Plastic Surgery Department. Dr. Cochran began his medical career in clinical and private practice in Denver, Colorado. He went on to serve at Exempla Saint Joseph Hospital as Chief of Plastic Surgery, Chair of Surgical Services, and President of Medical Staff, and at Exempla Healthcare as a board member and chairman of its Quality Committee. As a frequent speaker and author on a broad range of health care topics including health care delivery system reform, integrated care delivery, and health information systems, Dr. Cochran’s insights gained from decades of work on the front lines of health care provide a unique perspective which he shares in The Doctor Crisis: How Physicians Can, and Must Lead the Way to Better Health Care, a book he co-authored. Dr. Cochran has participated in implementing many of the priorities called for in health reform, including Kaiser Permanente’s electronic health record, the largest successful private clinical information systems deployment in the world. He addressed reform at the 2010 National Governors Association Annual Meeting, testified before the Congressional Committee on Health, Education, Labor, and Pensions in 2009, and presented at the Senate Finance Committee’s 2008 Health Reform Summit. He frequently collaborates with and addresses prominent health plan boards, federal health care agencies, and academic institutions. Dr. Cochran serves as a member of the Board of Directors of the National Quality Forum, the American Alliance of Community Health Plans, the American Medical Group Foundation, and the UCSF Global Health Group Advisory Board. For more than 30 years, he has volunteered his reconstructive surgery and consulting services in Third World countries, aiding underserved populations in Nicaragua, the Philippines, Ecuador, Tanzania, and Nepal. Dr. Cochran is also a past president of the Consortium for Community Centered Comprehensive Child Care (C6), a foundation that has built hospitals in East Africa. He is a vocal advocate for nurses and oversees the Lois and John Cochran Education Award, an annual scholarship given to oncology nurses at the Lutheran Medical Center in Denver, Colorado. Dr. Cochran earned his medical degree from the University of Colorado and served residencies at Stanford University Medical Center and the University of Wisconsin Hospital. He is board certified in otolaryngology (head and neck surgery) and in plastic and reconstructive surgery.